Suzanne S Hall moved to the mountains of NC 6 years ago from NYC, and it felt like coming home. 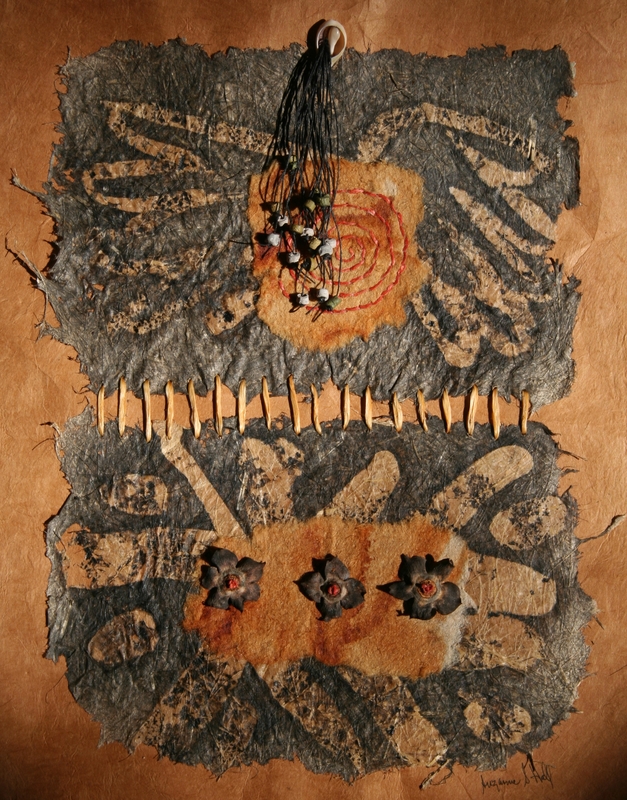 A mixed media artist, Susi is deeply influenced by the nature and lore of our mountain environment, and has a reverence for the tribal cultures she has experienced on trips to Africa and South America; a relationship with surroundings, both nourishing and spiritual, seems a bond that ties all who live close to the land. Susi’s work deals with the rites and delights of life: music and dance, planting and harvest, birthing and death. Her work can be seen at www.workswithpaper.com.